How Do I Know if I’m Fertile? Women who have regular menstrual periods are often the women who are ovulating properly. Normal periods can be anywhere from 24 to 30 days apart. Regular periods are a great indicator that the female parts are working as they should. Similarly, if you are able to track your ovulation and find that you are ovulating regularly, things are probably good to go for you to try to conceive. 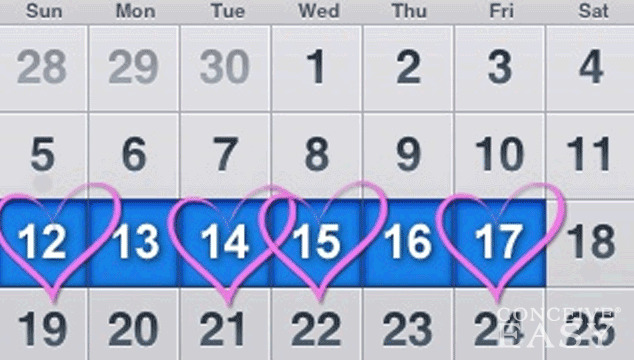 If you are not sure how to track ovulation, you can check it in a few ways. You can buy an over the counter ovulation prediction kit to track your ovulation. You can learn to follow your cervical mucus, or to chart your basal body temperature to figure out when you are going to be ovulating. Do you have medical problems? Women who have certain medical problems, such as endometriosis, or uterine fibroids, might have a harder time conceiving. Some medical conditions affect fertility, but some do not. If you have any questions about whether or not the medical conditions that affect you can damage your fertility, it’s a good idea to see your doctor. Maintaining a healthy weight is a very important part of fertility. Being overweight can seriously damage fertility, and can make it very hard to conceive. On the other side of the spectrum, being underweight is also very damaging to fertility. Eat a healthy diet, make sure to get enough exercise, and do everything you can to keep yourself at a normal, healthy weight. This should go without saying, but people who live a healthier lifestyle are often more fertile. This doesn’t just apply to diet, exercise, and weight, but other aspects of life as well. For example, women who smoke are more likely to have fertility problems, as well as women who use alcohol or illegal drugs. Women who are extremely depressed or stressed also have a harder time getting pregnant. There are so many things that contribute to fertility, take the time to do whatever you can to improve your chances of conceiving.